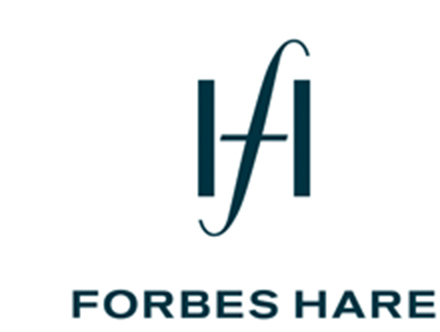 Forbes Hare is an offshore law firm with offices in the British Virgin Islands and the Cayman Islands, with additional representative (foreign law) offices in London and Singapore. The firm works with associated trust, corporate and fiduciary service businesses in New Zealand, the Cayman Islands and British Virgin Islands. The firm’s litigation team is involved in some of the most complex litigation in the Caribbean. The majority of work involves, in one way or another, disputes involving offshore structures and entities in the British Virgin Islands and Cayman Islands. Much of our work has cross-border elements. While our primary markets are the BVI and Cayman Islands, the firm also assists and handles cases involving other common law Caribbean jurisdictions where it has lawyers locally admitted and relationships with local firms. Forbes Hare was the first offshore firm to offer contentious expertise from London. Forbes Hare has a broad-based corporate insolvency practice, and acts for creditors, debtors and office holders in a variety of insolvency and restructuring situations. The team has considerable experience with the use of insolvency remedies in fraud and asset tracing exercises, and in shareholder disputes. The firm has an experienced corporate, finance and investment funds practice, which is partner-led and commercial in its approach. It advises clients globally on corporate finance and public equity transactions, private equity, joint ventures, fund set-ups and general corporate and commercial work. The team comprises senior lawyers with professional backgrounds at major international law firms. Forbes Hare’s trusts and private client team advises institutional trustees, corporates, families and private individuals from offices in the BVI, the Cayman Islands and New Zealand (we do not advise on New Zealand law). We regularly advise on commercial trusts, succession and estate planning, charities and asset ownership issues, We have significant contentious trusts experience and regularly advise trustees, beneficiaries, settlors and other interested parties in relation to contentious matters. We do not offer tax advice.